Inder Loves Folk Art: Happy Birthday! Happy birthday, beautiful Margaret Joy. You are my sunshine, Miss Maggie. NO WAY!! She is one!! oh my goodness it can't be possible! :) Happy Happy birthday Maggie! Happy Birthday to your sweet little girl! She's so cute! Yay!!! Happy birth day to you both! That gal's smile man is she a heart melter! Happy happy birthday sweet Miss Maggie! ahhh, inder this made me feel soo sentimental. the nurses at our hospital gave iris some funky bow on her hat too (is that what it is?). 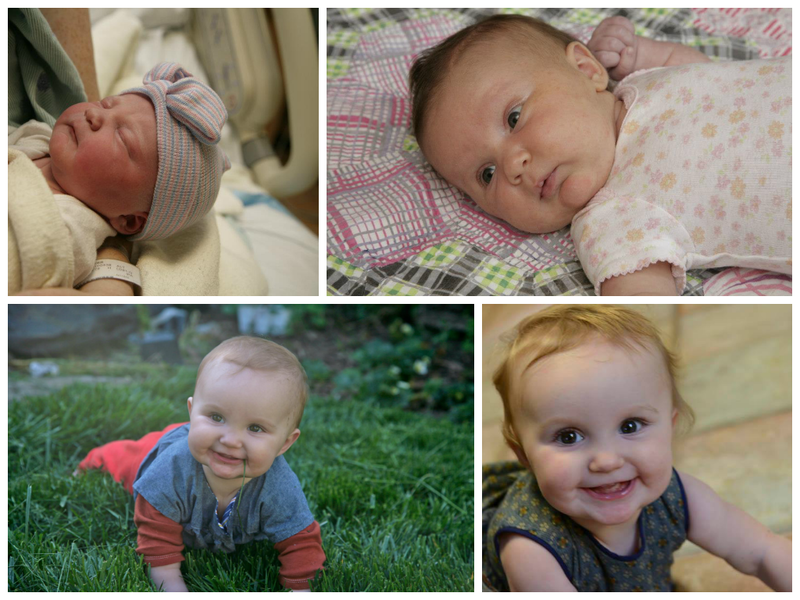 the first year is kind of a roller coaster (at least here), but so special! all of those photos are precious, but that last one is simply amazing! Happy Birthday little one!!! That year went by way too fast! May your bright eyes and smile continue to bring much joy to your little family! You are one lucky girl to be surrounded by so much love!